If you have a gap between your teeth due to a missing tooth or teeth, you should seriously consider finding a solution to fill the space due to various reasons. Primarily because the gap caused by the missing tooth or teeth can potentially affect the way you eat and speak. Especially, if your missing tooth is a molar – This can cause issues for you in terms of the way you chew your food. Additionally, each and every tooth plays an important role in relation to the other teeth as well as the structure of your mouth. Therefore, if you have a missing tooth or teeth and decide not to replace it – This decision can lead to some serious issues. Such as, plaque build-up in areas that are hard to clean which can then lead to gum disease and infections. This can also cause more teeth to fall out. Another issue is bone deterioration, this can occur if your missing tooth or teeth are not replaced as the bone that used to surround the lost tooth or teeth can possibly begin to erode. A dental implant is a small titanium post that is placed and fixed into the bone socket of your missing tooth or teeth. Dental implants can be used to replace a single tooth or many teeth. Implants appear and feel like your natural teeth and are an extremely popular option in regards to restorative dentistry. Implants provide a stable and secure foundation for artificial teeth and can be used as a form of support in relation to a dental plate. Once the implant and bone fuse together, an abutment will be placed there to ensure that the new tooth is steady. After which, a dental crown is fixed on the abutment. Full dentures are made up of a full set of artificial teeth – Including the lower and upper arch. At first, when your dentures are fitted in, you might feel a little awkward but with a bit of time you will be able to adjust to it. 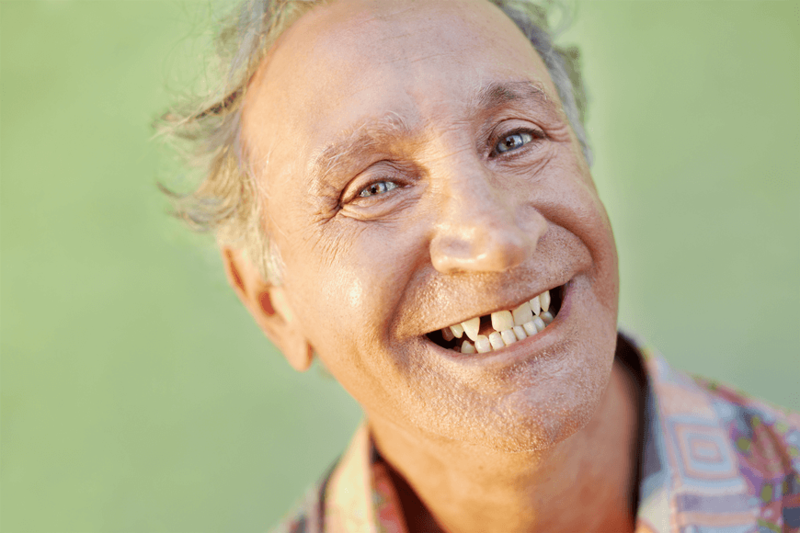 If you are looking to replace a couple of missing teeth, then partial dentures could prove to be a great option for you. It is attached to a plastic base which is kept in place by your gums and other teeth. You can also maintain good oral hygiene practices by removing it and cleaning it regularly. A fixed bridge is a suitable solution in terms of replacing several missing teeth. A dental bridge consists of artificial teeth that are bonded to a frame and is supported by dental implants or the other teeth that are surrounding the space left by the missing teeth. In case you are looking to replace a lost tooth or teeth, feel free to book a consultation session with one of our dentists today. Alternatively, send us an enquiry online for more information on possible options to replace your lost tooth or teeth. Next post: Can You Floss While Wearing Braces?